DCW chief Swati Jaihind on Thursday along with a panel of lawyers formed by the court inspected an ashram in Delhi. Over forty girls were rescued and were allegedly kept in illegal confinement. According to a report by Hindustan Times - “The CWC interviewed all the girls and rescued 41 of them who clearly looked like minors. All the girls and women there appeared in a trance like they were drugged. Steps also need to be taken to rescue the adult women who are left there,” she said. The allegations came to light after a raid was conducted on Tuesday evening following a Delhi High Court order on a PIL filed by an NGO — Foundation for Social Empowerment. 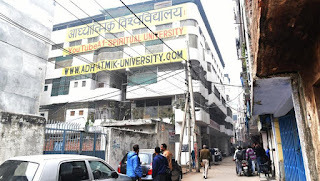 The NGO had, in its petition, maintained that several minors and women were allegedly being illegally confined at the “spiritual university”. Irked over the counsel’s statement, the court wished to know about the whereabouts of Virender Dev Dixit, referred to as the founder and spiritual head of the ashram. It directed the counsel to give information about Dixit by Friday, while cautioning him not to act as proxy between the founder and the court. A copy of this paper would then be sent to the local police station and the parents. The families were asked to send money for the upkeep of the girls. If the baba had known criminal antecedents, why was he allowed a free run? Why did the police wait for HC directions to act against him?